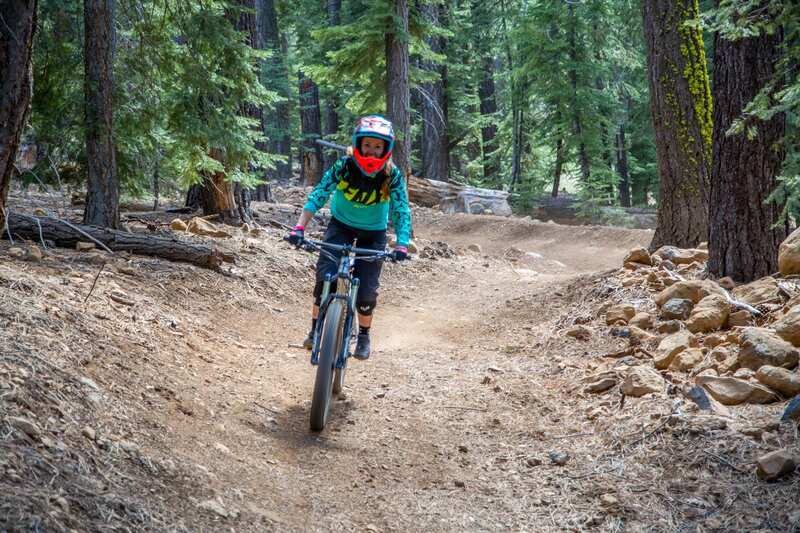 The Specialized Bike Academy is to summer at Northstar what the Burton Snowboard Academy is to winter at the resort. Like the Burton Snowboard Academy, the Specialized Bike Academy is the only one in the world. Whether brand new to the sport or a seasoned mountain biker, it’s a great introduction to the only bike academy of its kind. Northstar uses two models of specialized bikes, the S-Works Demo and Enduro. These are the Porsches of downhill mountain bikes. The S-Works Demo, for example, has previously been named “downhill mountain bike of the year” by Dirt Mountain Bike Magazine, while both are often listed among the best mountain bikes by major outdoor and bicycling publications. 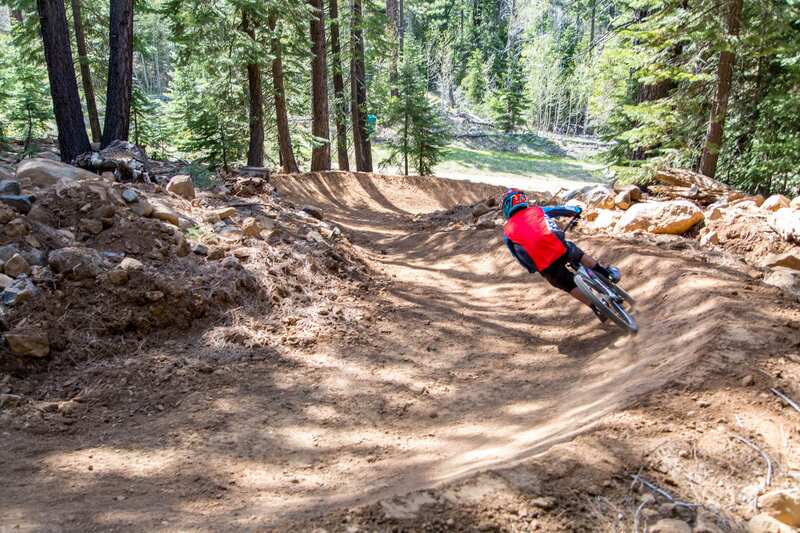 The Northstar Mountain Bike Park is for all levels of athleticism and skill, from novices up to expert riders. 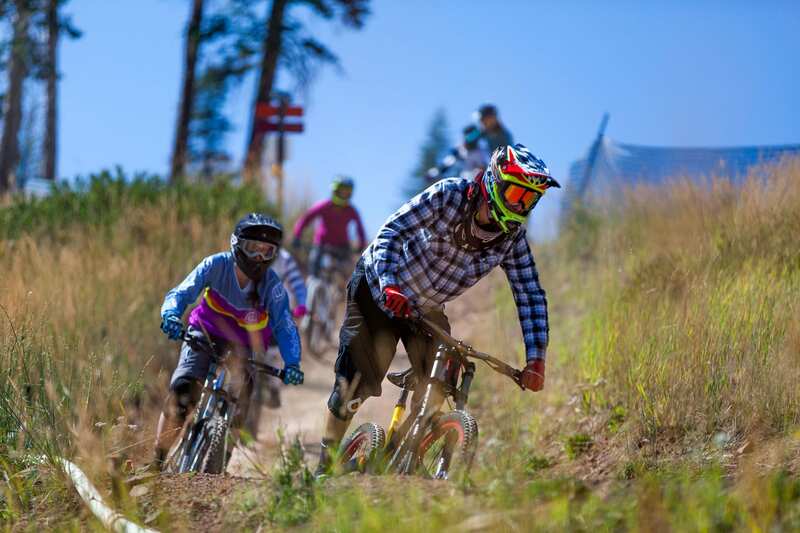 As a downhill bike park serviced by chairlifts, it doesn’t require the same energy, skill and muscles that are required for traditional mountain biking. As such, you can often ride for much longer than if you were mountain biking a trail system. It’s not abnormal for riders bicycling the park to do at least 10 laps in a day, which you wouldn’t be able to do if you were biking a trail with elevation change. Northstar’s coaches aren’t merely mountain biking enthusiasts, but rather certified coaches, most of whom are Level 2 certified through the International Mountain Bicycling Association (IMBA) Instructor Certification Program (ICP). Furthermore, many of them work as ski/snowboard instructors or ski patrol during the winter, so no one knows the mountain better than them. Approximately half of our staff is female, while many female riders take to the park and Specialized Bike Academy every summer. As such, Northstar has a couple of events for women during the summer months. Women riders are invited out every Friday evening during the summer from 5 p.m. to 7 p.m. for Pumps and Pedals, a complimentary evening ride and coaching event. Rental bikes and equipment are available to rent, while there are discounted lift tickets for those who don’t have their season passes yet. 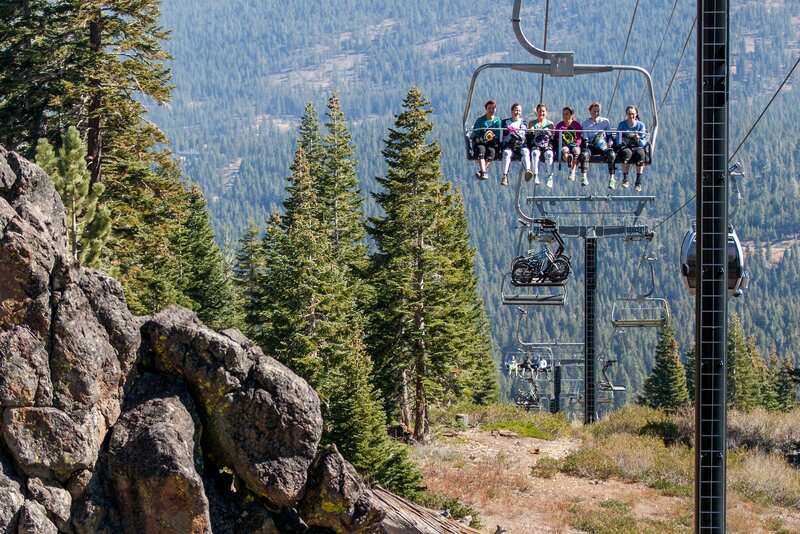 Additionally, Northstar offers an exclusive women’s weekend during the summer—Her Mountain, which is a two-day Specialized Academy, designed specifically for females. For more information on the Specialized Bike Academy at Northstar, check-out www.TahoeAscent.com.